From October 29 to December 15, 2018 we've opened again the voting lines for your favorite 2018 songs. here's ​the much-awaited Top 20 People's Choice Songs of 2018 from your combined votes on website and Facebook! Watch the music videos of our Top 20 MPS People's Choice 2018 songs below! 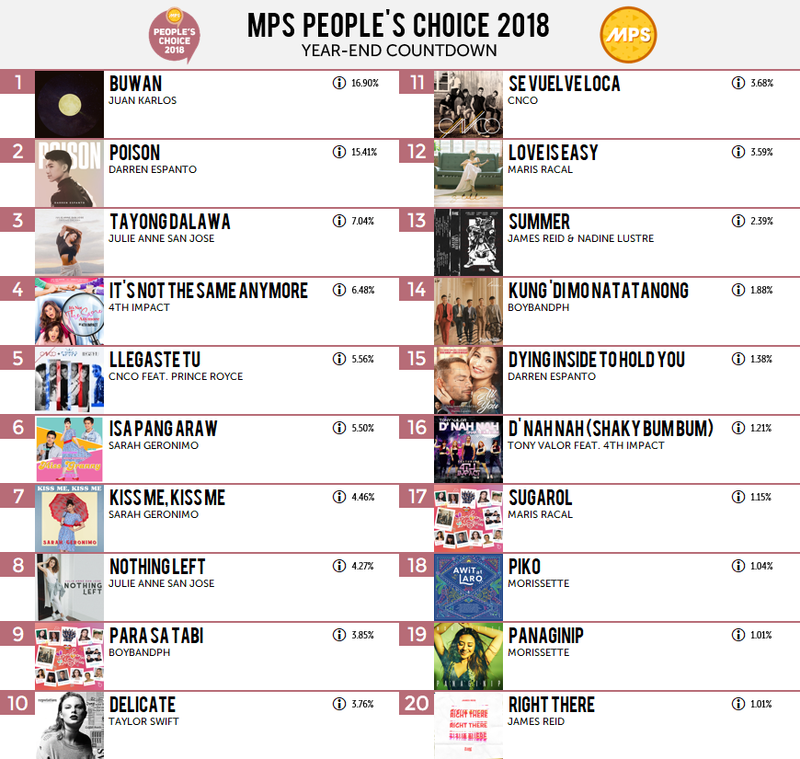 ​See what fans has to say about the MPS People's Choice Year-End 2018 results! THANK YOU FOR MAKING #MPSPeoplesChoice2018 A SUCCESS!